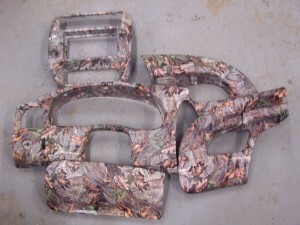 Hydrographics and how it works! Hydrographics is perhaps the best way to apply a graphic to a 3D object. Hydrographics are used widely in the hunting and sporting goods industry to apply camo patterns to items like archery equipment and firearms. The automotive industry also uses it for wood grain, and metal looking dashes. The process can be used on nearly any type of surface including wood, metal, plastic etc. The item to be decorated must be waterproof or it won’t survive the process. Rifle scopes often times don’t survive if they aren’t 100% waterproof. First an item is prepped by either sanding, or sandblasting the item. It is then primed and painted with a base color. Patterns usually get some of there tint from the base color so patterns can be manipulated by what color an object is painted. The item once dry is then dipped through a water soluble film containing the pattern. It is then rinsed off with fresh water and allowed to dry. 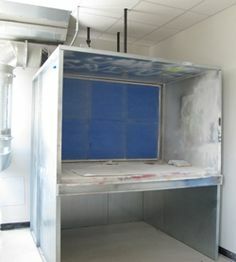 Once dry – Touch Ups if necessary can take place, then finally a Clear Coat is sprayed to protect the finish. How durable is it? It is basically the same paint job your car would get, except we add a step by applying a pattern to the paint before the protective finish. Your item should provide you with years of a worry free finish! How do I care for my item? You care for it the same as you would for your car. Try to avoid getting solvents, oil, and fuel on your item. Your item is scratch resistant, but can be scratched similar to your car. Warranty – Your item will come with a limited lifetime warranty for workmanship and materials to the original owner of the finished item. Moving parts that slide against other parts are not covered. A warranted item would be – flaking, peeling, cracking, etc to the finish. Scratches, scuffs, chips, and other damage are not covered.